Houston City Hall hosted the naturalization ceremony of 50 new U.S. citizens Wednesday. Mayor Sylvester Turner said it’s the second time city hall’s been able to host the ceremony. “You reflect one of our most cherished values which is that there’s strength in diversity, quite naturally, that diversity is an asset,” Turner said, speaking to attendees. November is the 10th year of Houston’s Citizenship Month. The city hosts several path to citizenship and other events throughout the month. Houston officials are offering condolences after news of a shooting in California that reportedly left 12 dead. 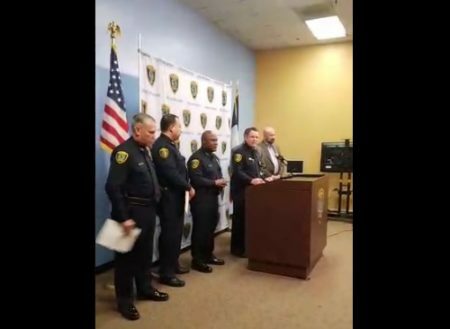 A man suspected of driving while intoxicated will be charged with murder, Harris County Sheriff Ed Gonzalez said, after a crash killed an 8-year-old boy and critically injured a 5-year-old. The Harris County Sheriff’s Office (HCSO) said the man had just picked the two children up from school. It appears the 8-year-old wasn’t wearing a seatbelt, according to the HCSO. The incident prompted the sheriff’s office to remind parents to always make sure their child is in the right type of car seat and using seat belts. 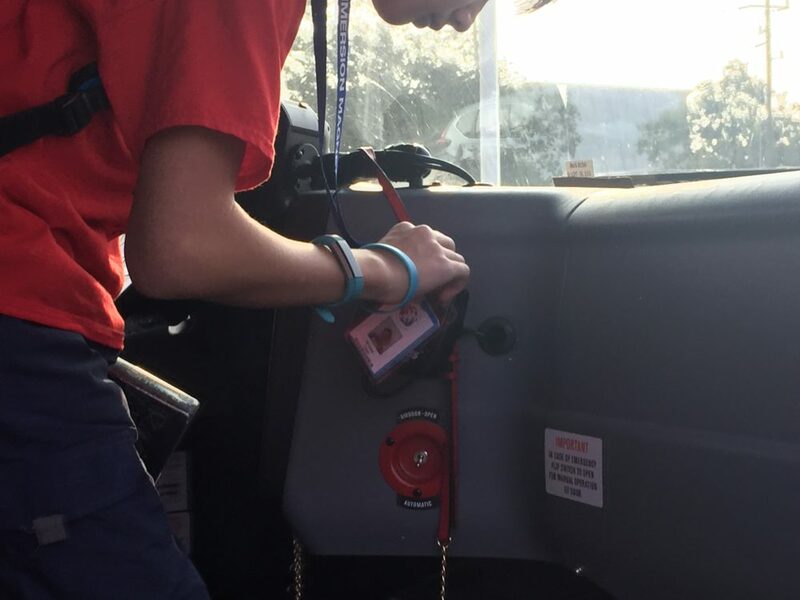 When the school bus rolled up just after 8 a.m. at the Mandarin Immersion Magnet School near the Galleria, students had to complete an extra step before they got off: Swipe their bus badge. “You got your badge?” the driver asked, as they swiped through. This badge system started as a pilot in October with about two dozen schools. Now, it’s expanded district-wide, in an effort to improve safety, efficiency and communication with parents. Read the full story, here. 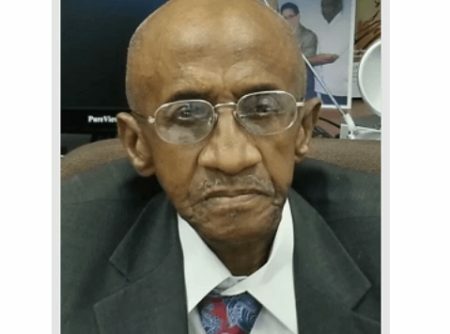 A day after losing his re-election bid, a local judge released nearly all of the juvenile defendants who appeared before him after asking them whether they intended to kill anyone. Harris County prosecutors expressed concerns after Judge Glenn Devlin made the decision Tuesday. The juveniles faced charges ranging from misdemeanors to violent crimes. The Republican judge rescheduled all of the cases for the first week in January when the Democrat who beat him will take office. It’s unclear how many juveniles were released. 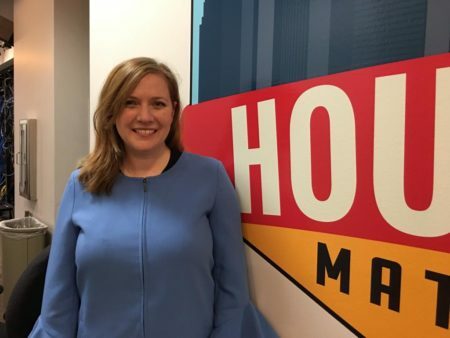 Devlin declined comment when contacted by the Houston Chronicle. 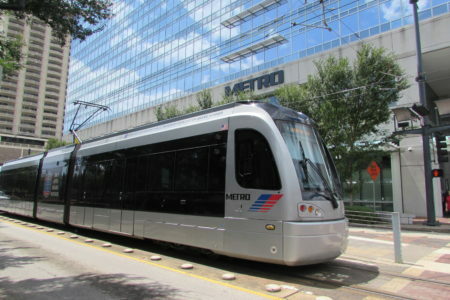 Does Fletcher’s election mean more public transit? 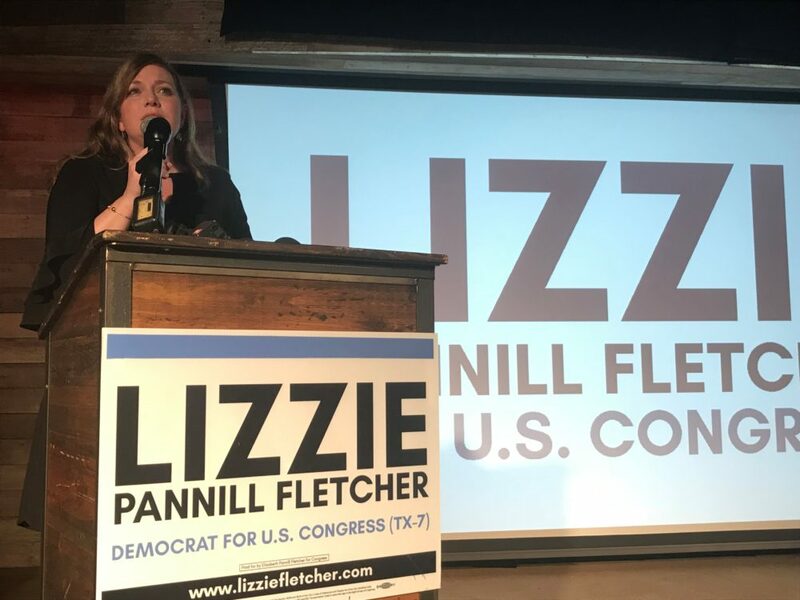 Democrat Lizzie Pannill Fletcher gives a victory speech in Houston after her victory over incumbent Republican Congressman John Culberson.